Even jungle researchers get hungry and thirsty on their journey through the thick jungle. In the Biosphere Potsdam you can solve that problem easily without going hunting! Going on a round tour in the Biosphere you will find two gastronomic areas. You can rest for a short time, have a snack or sit down for coffee and cake – you can enjoy yourself in the Biosphere Potsdam. Hot and cold drinks as well cakes and small snacks are served in a very special atmosphere. 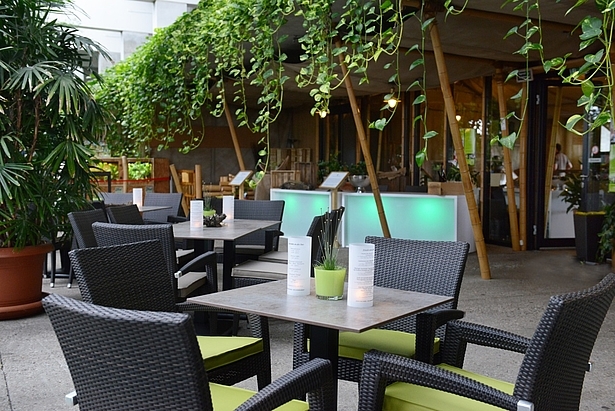 Relax with a view across the forest pond and choose between the indoor and the outdoor terrace. As a highlight you can experience the hourly thunderstorm with rain, bolts and thunder up close. For changes in the opening hours of the Café Tropencamp please check the German website. Hot and cold dishes as well as coffee and cakes are offered in our self-service restaurant at the beginning or at the end of your walking tour. 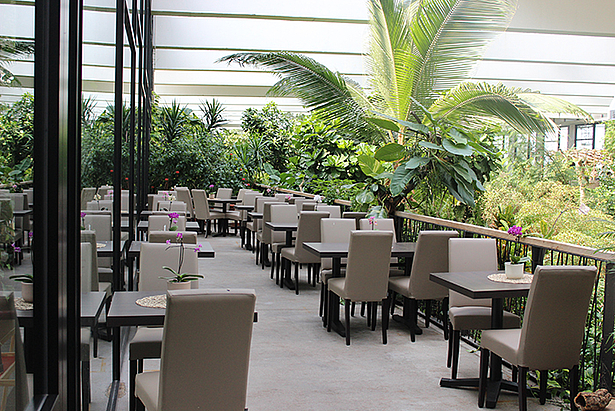 You can also enjoy the view over the tropical landscape from the indoor terrace. Guests who do not have a day ticket for the Biosphäre Potsdam are also welcome at the Restaurant Urwaldblick. Please note that our kitchen closes half an hour before the restaurant closes. 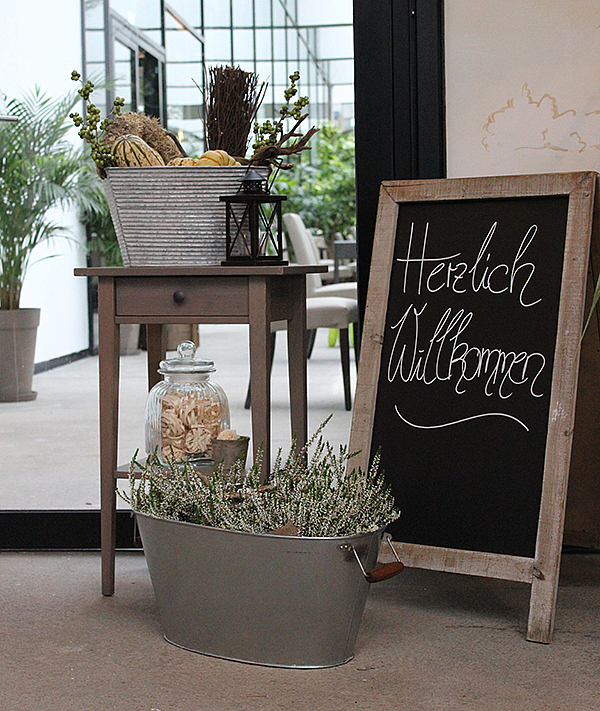 For changes in the opening hours of the restaurant please check the German webseite.